It is too easy for family court and CPS judges to remove a child from their home and make life-changing decisions in hearings that often violate the laws and due process rights of parents. The decisions of judges are rarely questioned because they hide behind the shield of immunity. In truth, judges are NOT granted immunity when they break the law or act outside their jurisidiction. The “best interest” of justice demands increased accountability and oversight of judicial officers… it is wrong that a parent could walk into court as part of a family and leave childless, with little or no hope of regaining custody and/or visitation. (Derby, Derbyshire, England: 2011) After a hearing which lasted just 15 minutes, Judge James Orrell ordered that 3 children should be immediately taken from their parents and placed into state care. The parents were accused of abuse then denied their right to present their case, and not allowed to speak, when the ruling was made. Gale has investigated the family courts in Derby and discovered that Judge Orrell is the director of an organization called Relate that provided commercial services, including child counseling to local authorities. 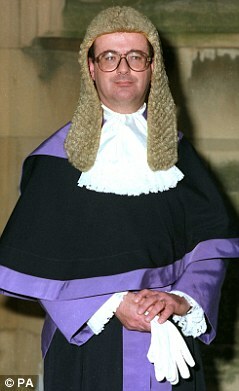 Kids for Cash UK exposed Judge Orrell as issuing care orders in order to generate business for Relate and its partners. After being exposed, Relate was quickly dismantled and all records have disappeared. Gale has written a letter of inquiry to LJ Munby, President of the Family Division of the High Court, who has refused to answer any questions. The case was sent back to a county court with a different judge appointed. This entry was posted in Children Stolen by the Government, Family Court Injustice, Legal News and tagged #OPExposeCPS, Corrupt Court, custody order, Derbyshire Social Services, High Court, Judge James Orrell, Judicial Accountability, Judicial System, Kangaroo Court, Kids for Cash UK, parental rights, Relate, Removal of Children, Rogue Judge, Unjust Court Order. Bookmark the permalink. How would this judge feel if same thing done to him.